I have whims and fancies when it comes to crafts. And whilst knitting is certainly the in thing at the moment as I have been knitting more than anything else lately. 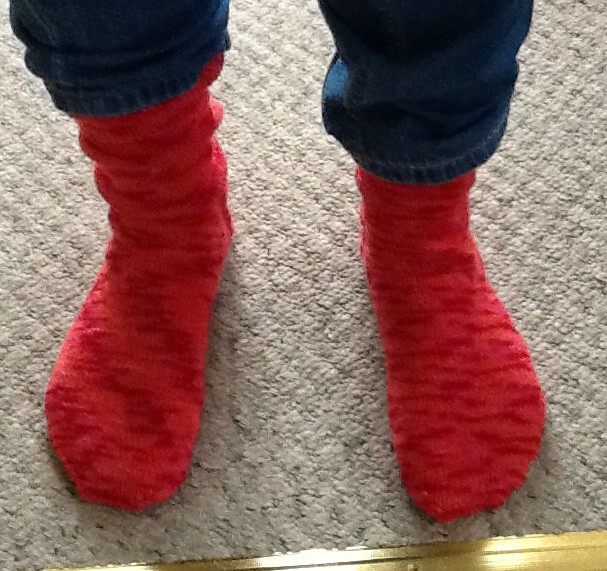 I needed a challenge – knit a pair socks. 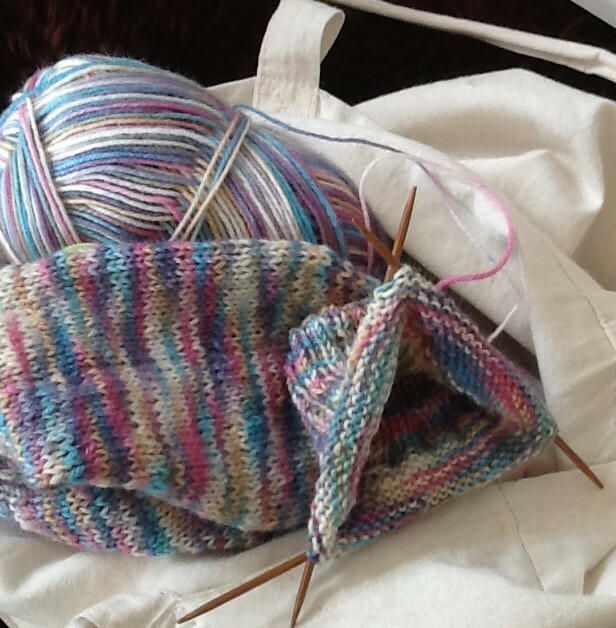 It’s not just two needles, it is using different sort of wool and where on earth do you being with turning heels. Christmas and mum provided me with the necessary equipment. 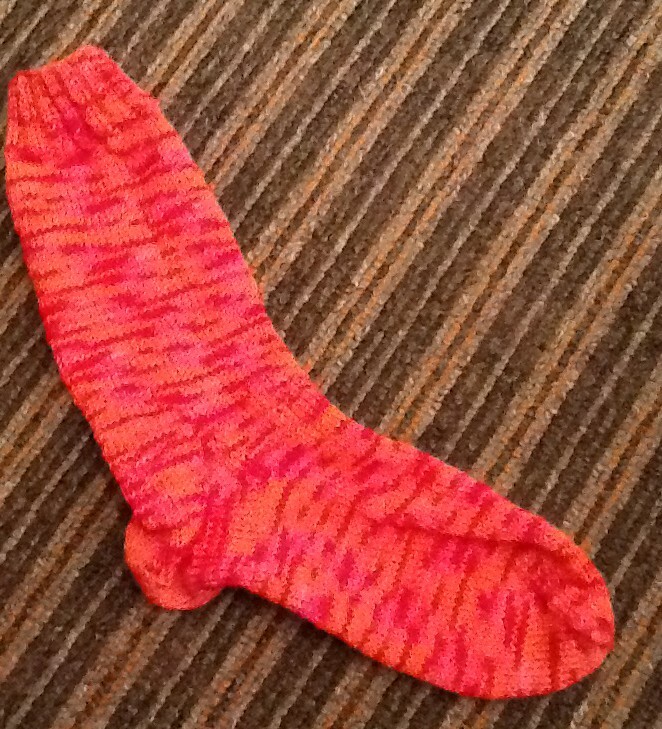 Of course the triumphant nature of finishing my first sock……. These are quite loose, I think they will be lovely to put over socks you already had on, to keep your feet even more toasty warm. I need some more practice before I start adjusting sizes, it is in the length of the foot which there is too much ‘sock’. But let me practice some more with some other lovely wool. The finished pair was the first ball of wool I had, the second variety of wool can be shown in the started sock at the top of the post. These are all simple knitted socks with a rib cuff and nothing more complicated, I have yet to brave cable, lace or anything else which may require a stiff drink to complete! I have a couple of books which accompanied said wool and needles for when I want to get adventurous. In the meantime, I am taking small knitted baby steps.